We have covered Karl's Burger once before, but we guess we couldn't get enough with one trip there, so here we go! Located in the new shophouse nearby, just in front of Setrasari Mall, their place has become bigger and more spacious. However, they still haven't changed their classic menu yet. 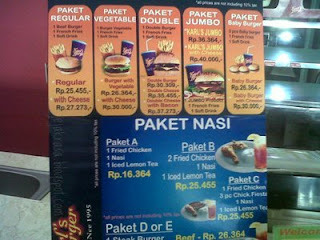 Their price might be a little bit higher compared with other fast food chain, but I believe they make it more delicious. I think because they freshly grilled their sandwich with order, so you will get fresh food from them. 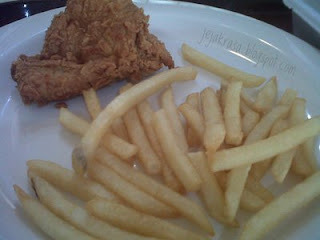 Today I tasted their fried chicken and cheese burger. The fried chicken is OK, but the cheese burger is special. 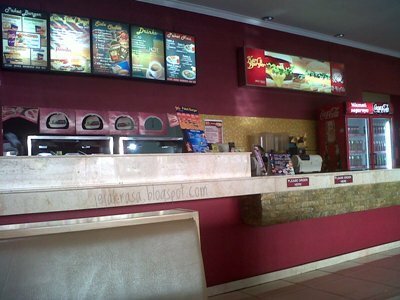 So if you are looking for alternative place to eat fast food. Just try Karl's Burger! Enjoy! 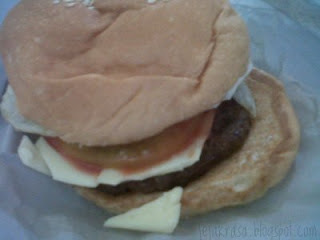 For more detailed review about the history of Karl's Burger, you can visit Cindy's Blogspot here.